Chatting Beauty Essentials with Sammi Beauty Crush! 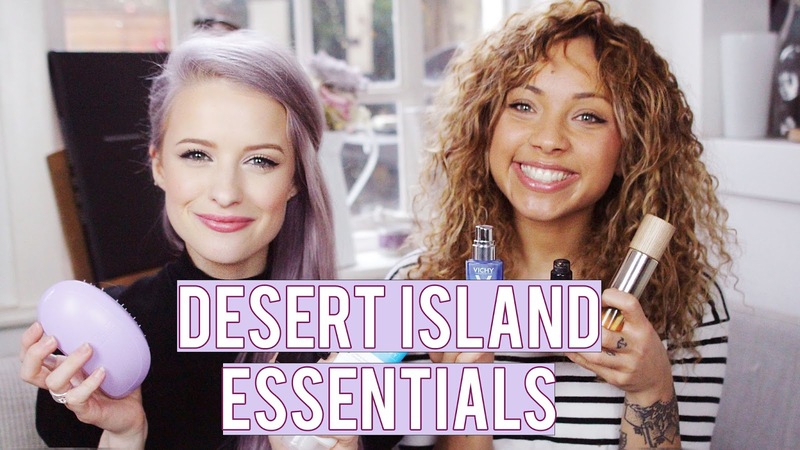 If you know your beauty and Youtubers, you will already have heard of Sammi. I stumbled across her channel back in the days when I had never heard of blogging, and immediately I was hooked by what she had to say. Three years later I have the pleasure of calling this lovely lady a friend, and one afternoon we chatted about our favourite must-have products and why we loved them. And just in case you guys were interested, we filmed the whole thing. I came up with the idea of thinking of our seven ‘Desert Island products,’ i.e. the products that you would hope you were stranded with, if that was to randomly happen… lets hope not! But essentially, those products that we buy over and over and could not live without. Whilst mine were more skincare focused, Sammi went for a few more makeup items, so we got a pretty mixed bag of goodies. My favourite hand cream, hair brush, face cream and lip balm all made an appearance and I’m sure you can already guess what they were. But if you are wondering, have a watch of the video above, and please do subscribe whilst you’re there, so all of my videos can go straight into your feed. So what did we choose as our Essentials? What are you absolute essentials? The products you cannot live without?